Frack Free Cotswolds » Blog Archive » Is Fracking Coming? You are here: Home - Upcoming Events - Is Fracking Coming? 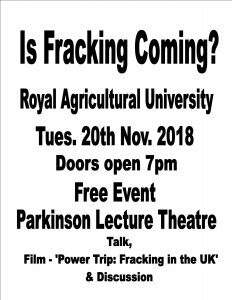 There will be a short talk, followed by the film – ‘Power Trip: Fracking in the UK’. This will be followed by discussion. There will be refreshments available. 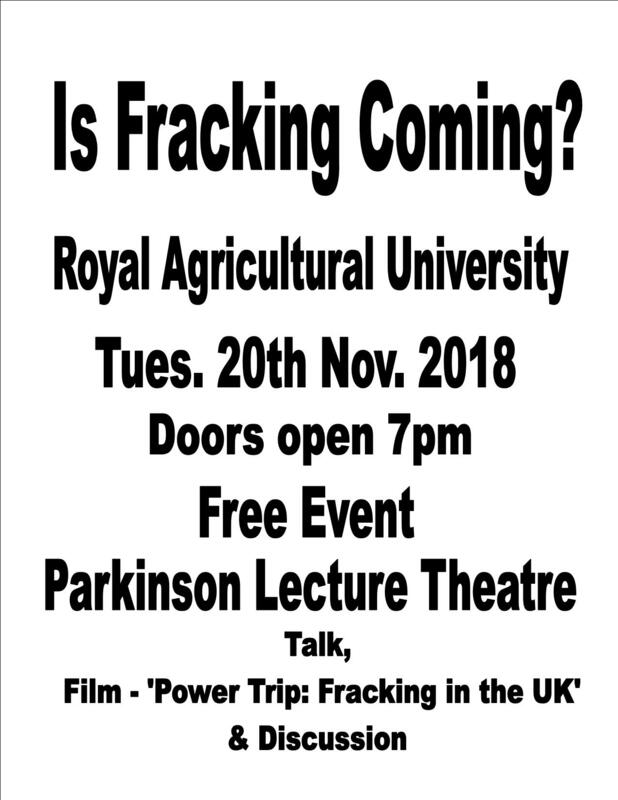 This is a free event and will take place in the Parkinson Lecture Theatre at The Royal Agricultural University, Cirencester. Doors open 7pm for a 7.30pm start.